RIM’s still showing some love for PlayBook owners after releasing PlayBook OS 2 earlier this year, this time with a keyboard case. 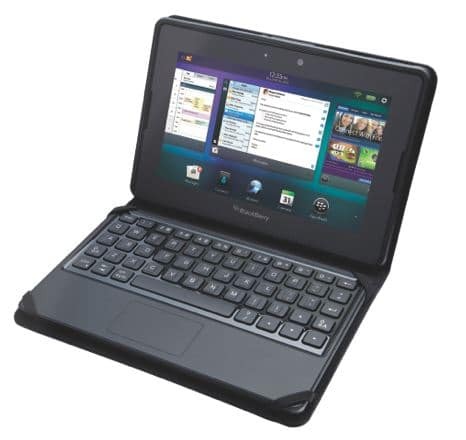 RIM revealed its new Mini Keyboard case for PlayBook. The case, which RIM is expecting to sell for $120, can be pre-ordered today and will ship or March 23rd. With the keyboard, you can navigate and control the PlayBook with its touchpad. It can be charged with your PlayBook charger and the battery can last up to 30 days by only charging it once.